The easily remembered .bid domain is used for creating virtual auctions and showcasing every type goods available. Where to buy a domain bid? This hosting fully deserves to be called one of the best ones. They have a big variety of uncommon services such as Windows shared hosting and dedicated servers for different purposes (NAS, GPU powered, 10Gbps+ Ethernet). Everything is very well balanced: pricing, quality, feature range. Moreover, there is a literally huge range of packages with all kinds of various features that allows to choose the most suitable hosting for you. The technical aspects of 1&1 IONOS web hosting services are excellent. As what they are claiming: 1&1 IONOS is the hosting and cloud partner of choice for small and medium-sized businesses. Their time-frame in setting up an account may take some time (24-48 hours). After signing up, you will receive your Customer ID # and your login details in a few minutes, but the hosting account could be fully active in 24-48 hours. That means, FTP accounts and databases and also domain registration will be fully active within that time-frame. 1&1 Internet is now 1&1 IONOS and the main feature of their rebranding is implementing the Personal Assistant and online chatting with the representatives. So, if you can endure the sign-up process and don’t mind waiting, then we can certainly recommend 1&1 IONOS for you. It's worth it to note that GoDaddy is primarily a domain name registrar, and one of the largest in the world. Their hosting services are provided as an addition to the basic domain name registration service. The quality of GoDaddy services is already legendary. Some consider it to be the standard of American hosting, while others criticize it wholesale. Our experts didn't find anything terrible, their hosting works just fine. Also, the support service worked well and all issues were resolved in one day. In conclusion: domain registration is easy and quick and hosting quality is dependable and good. Generally, the hosting is not bad. The support is on a high level and the Shared and WordPress hosting packages are quite cheap. The enhanced cPanel looks very nice as well. On other hand, the VPS and Dedicated server characteristics are not fully described. Also, the server security has to be maintained on your own. Due to this, VPS and Dedicated hosting can be recommended for more proficient users rather than for beginners. 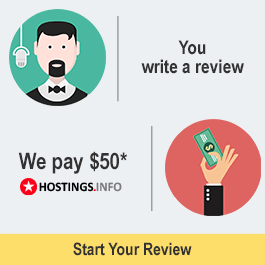 HostMonster is one of the most popular American hosting providers with over 1.7 million users. Our experts found a consumer friendly pricing policy and very convenient control panel. Most reviews across various countries are positive. All the advantages touted by the company are accurate. Short overview of this provider will be here. Very nice and user-friendly interface. Each plan has a full and detailed description of tech specs and features. The prices are quite low. For example, Shared hosting plan prices vary from $2.88 to $8.88 per month. From 20 to 50 Gb of disk space, unlimited bandwidth and websites ( only the cheapest one Stellar has a limit of three websites) and a website builder are included to these plans. In addition, with Stellar Business you get Pure SSD disk storage that will make your website performance quicker. To sum up, these resources allow you to build several moderate size websites quickly and easily. As for VPS and Dedicated servers packages, they also look attractive. Prices are fairly competitive: from $14.88/month for VPS and from $34.88/month for Dedicated Servers. The basic VPS package includes 2 Gb RAM, 2 CPU cores and 40 Gb SSD RAID10. Additionally, you can choose between clearance and new dedicated servers that gives you an opportunity to find the perfect server for you. As a bonus for all new hosting users, Namecheap offers free one-year .website domain registration for all Shared and VPS hosting packages. FastDomain is a relatively new company, but popular among American hosting. Thanks to an attractive pricing policy, a convenient interface and effective advertising, they managed to gain enough users. They still employ a powerful and targeted marketing strategy. 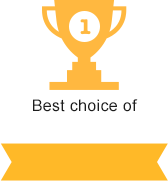 Our experts liked the quality of hosting. As a result, we get enough good and tasty hosting treats in a brilliant wrapper. The company provides a lot of packages for different purposes so it’s quite easy to find what you need. Also, the pricing is very reasonable and affordable for all packages. Moreover, the support team is very helpful. Generally, this hosting can be recommended for beginners as well as professionals for various projects, both resource-consuming and not.